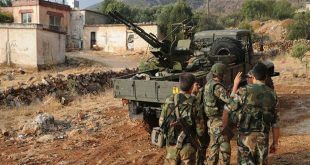 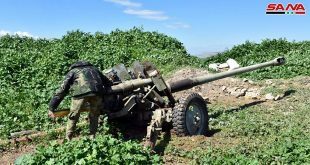 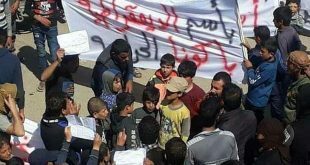 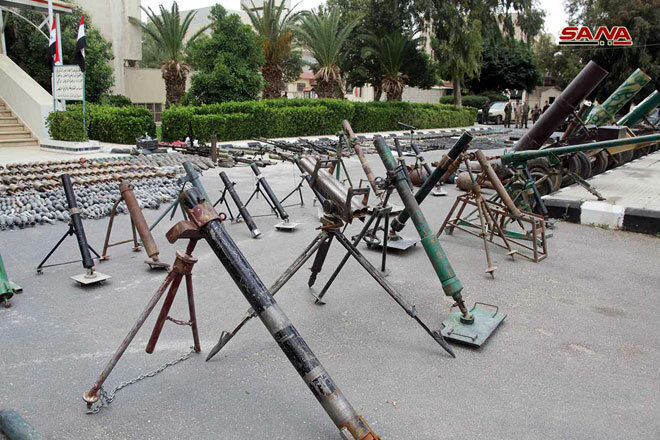 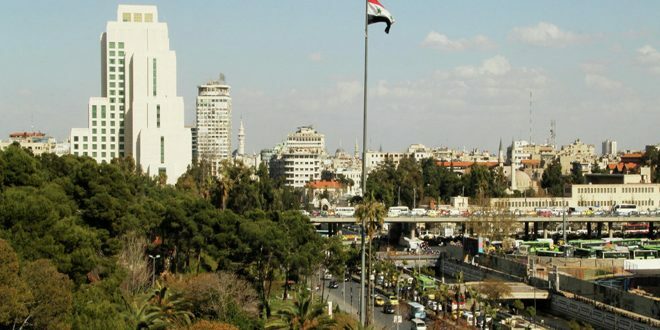 Damascus countryside, SANA- Terrorists in towns of Yelda, Babila and Beit Sahem in southern Damascus handed over their medium and heavy weapons before their evacuation to northern Syria as part of the process of declaring southern Damascus free of terrorism. 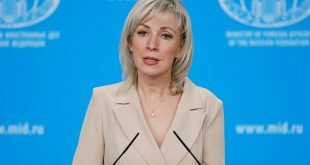 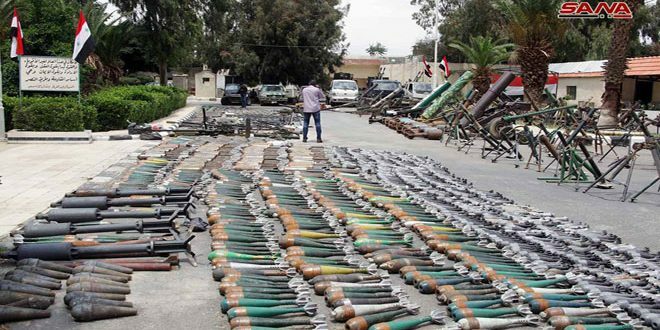 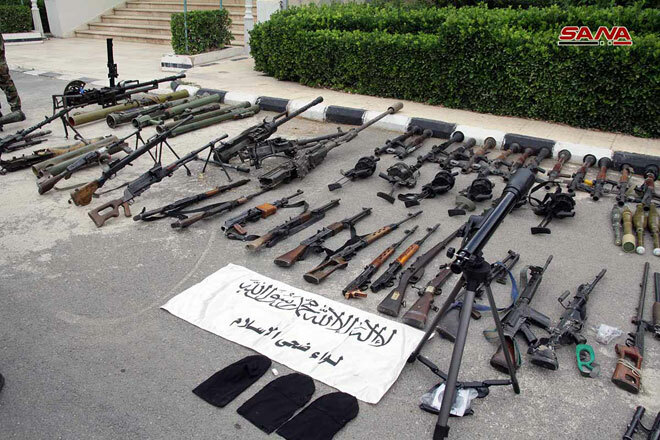 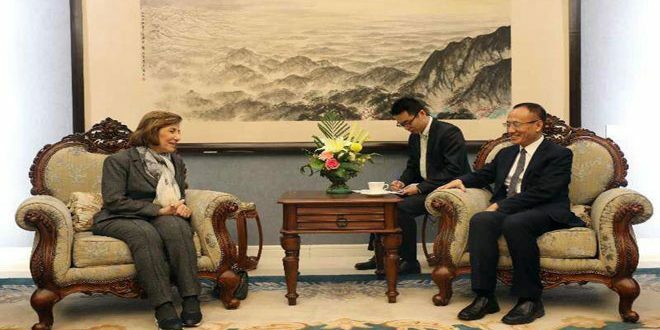 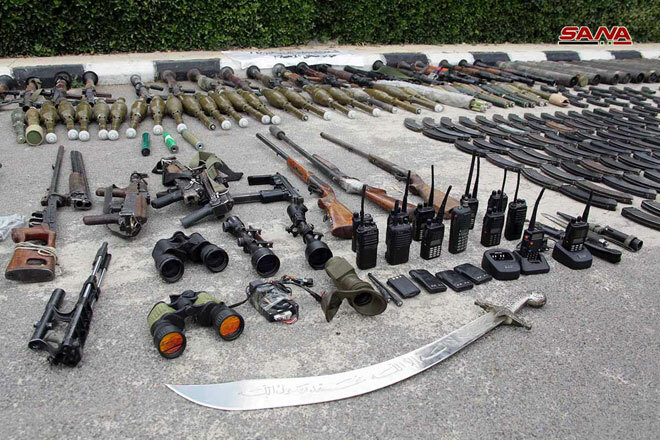 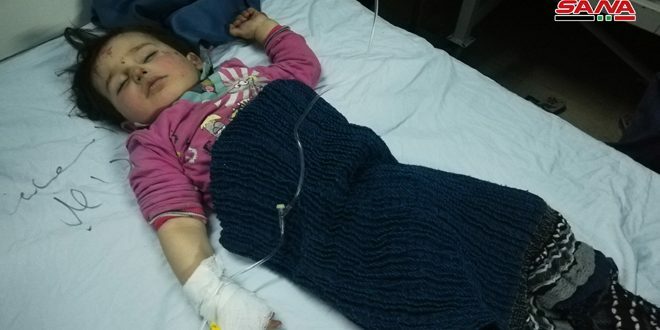 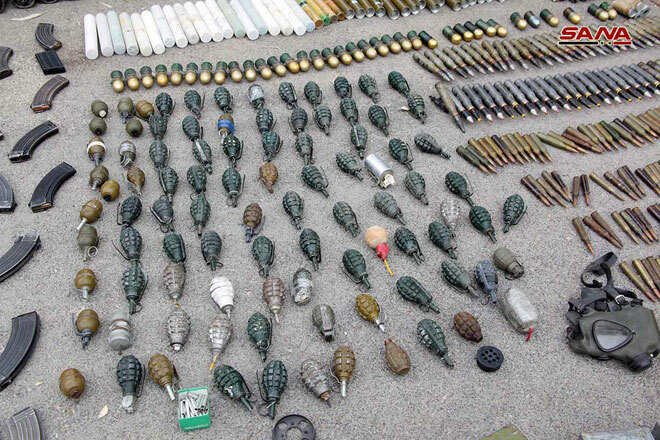 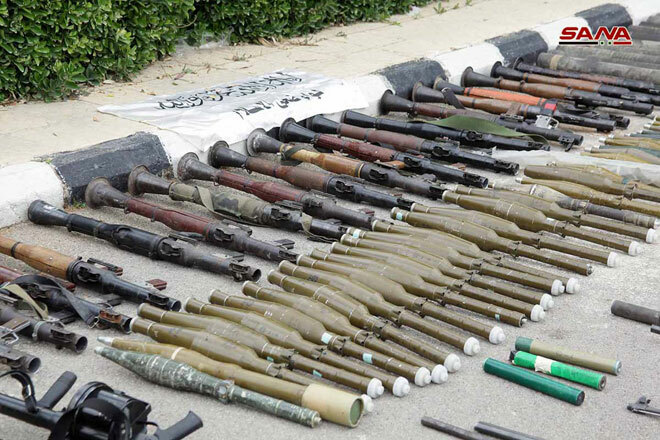 SANA reporter said that the terrorists handed over large amounts of weapons, munitions, and landmines, some of which are Israeli-made used by terrorist organizations to target civilians in the neighboring neighborhoods and military points. 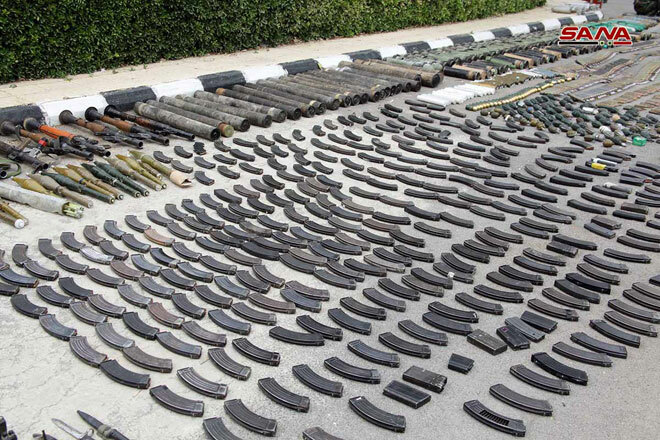 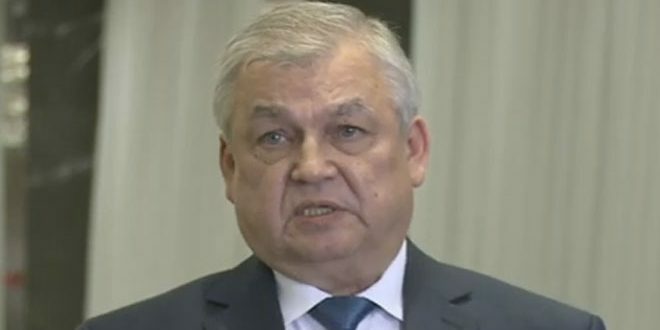 Untraditional weapons were also among the weapons handed in, including, a launcher and RPG6, in addition to stolen cars, cares equipped with 23 and 14mm machineguns, quantities of fertilizer, gunpowder and ammonium nitrate used by the terrorist organizations in manufacturing IEDs and homemade mortar shells, the reporter added.